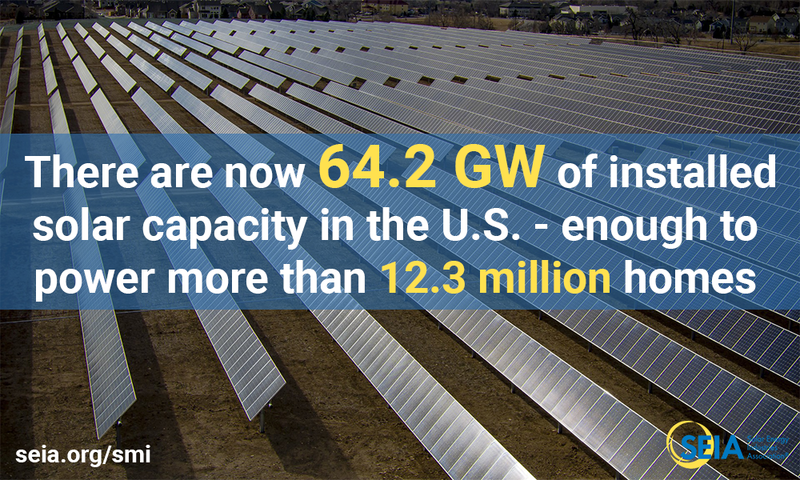 The U.S. installed 10.6 gigawatts (GW) of solar PV capacity in 2018 to reach 64.2 gigawatts (GW) of total installed capacity, enough to power 12.3 million American homes. This represents a 2% year-over-year decrease. Total installed U.S. PV capacity is expected to more than double over the next five years - by 2024, more than 15 GW of PV capacity will be installed annually. Click here to read the Executive Summary of the latest Solar Market Insight Report. The full report includes all the data and analysis from our Executive Summary plus incisive, state-level breakdowns of installations, costs, manufacturing and demand projections. To learn more about the Solar Market Insight Report series, click here. For more facts and figures about the U.S. solar industry, including historical data and future projections, click here.